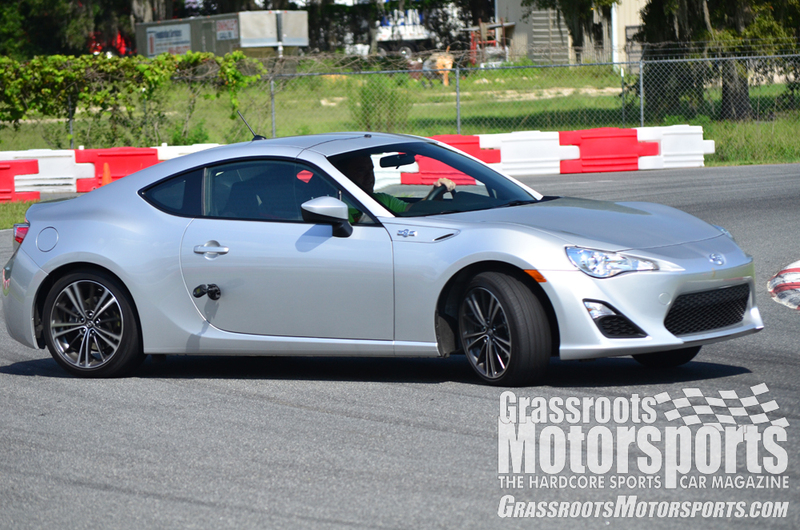 We finally got our hands on a new Scion FR-S, and promptly took it to the track. The driver's seat is a comfortable place to be, though this comes at the expense of rear legroom. The back seat is useless. The gauge cluster was obviously inspired by racing, as the tachometer takes precedence over the speedometer. 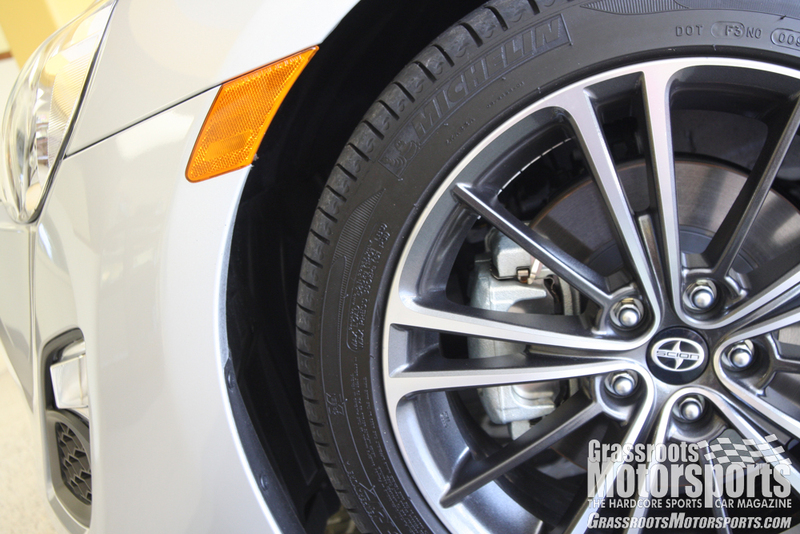 The FR-S's wheels are quite large, and quite polarizing. 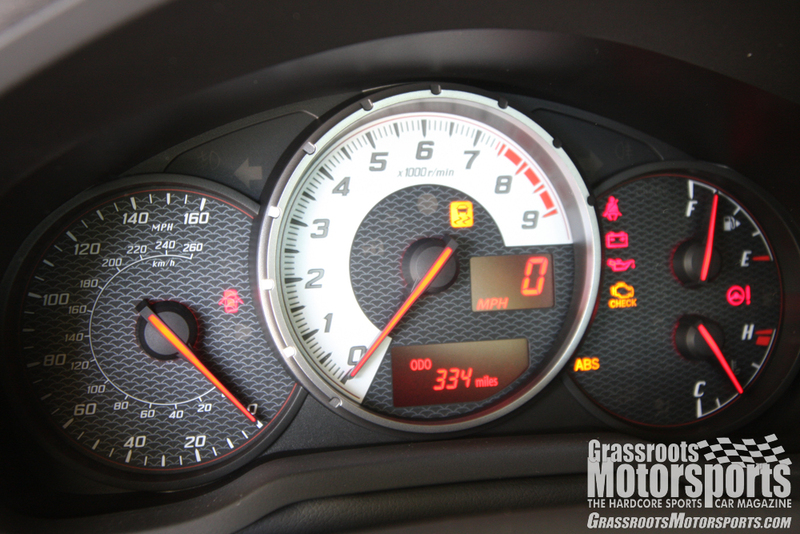 We scaled the FR-S as delivered, with a full tank of gas. These are its corner weights. Toyota and Subaru delivered the promised 2700 lbs. curb and good weight distribution. Scion's newest model, the FR-S, finally graced our office with its presence. So, how is it? In a word, brilliant. This car lives up to every expectation, and drives more like an E30 M3 than a Camry. 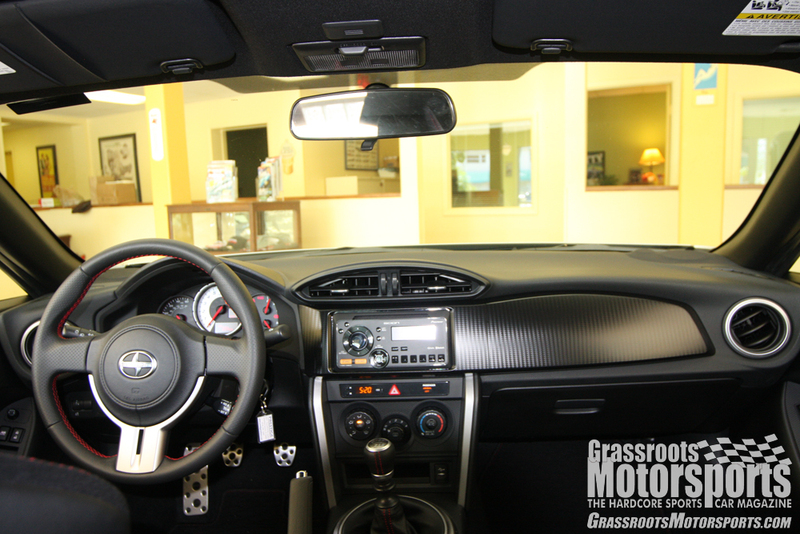 It also has a great interior and is comfortable enough to drive daily. There were almost a few fistfights in the office over who got to take it home each night. The car's only major drawback is its price. Its MSRP of about $25,000 is more than reasonable, it's cheap! However, we asked the local dealer for a quote and were hit with $6,250 over MSRP. When we told the dealer we already had one, the sales manager asked us to bring it by so he could test drive it, as he hadn't been allowed to yet. 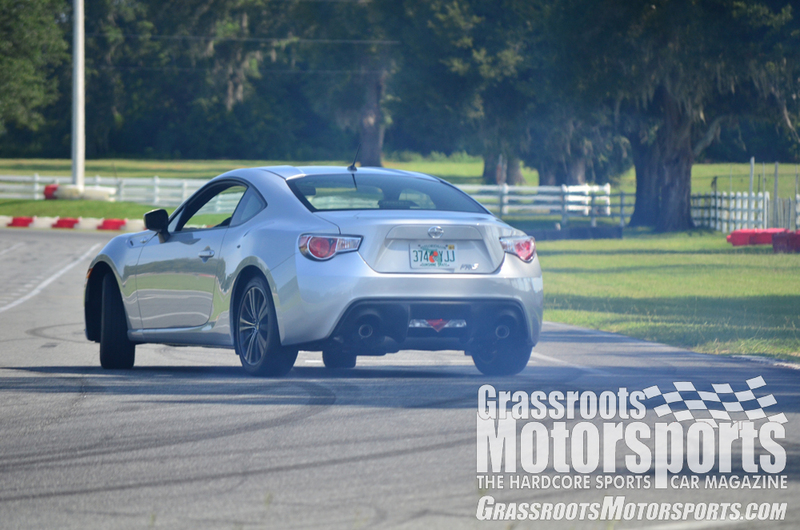 The FR-S lives up to every bit of hype it has received and promises it has made. It drives like an E30-chassis BMW M3– slightly underpowered for a "fast" car, yet with razor-sharp turn-in and impeccable handling (though it is a bit tail happy). The FR-S is the most fun new car I've ever driven, probably because it is also the lightest new car I've ever driven. It is comfortable on the street, too, though Toyota thoughtfully left room for a helmeted driver in the FR-S's spacious front cockpit. It isn't all puppies and rainbows, though. The car's stock tires are slippery, and rear visibility is terrible. A semi-truck can easily hide in this car's blind spots. At least you won't have to worry about rear-seat passengers blocking your view, as humans don't fit in the back seat. Maybe a small dog would fit. Or a box of Kleenex. Happy to see that the FR-S lives up to the hype. Is it a Corvette-beater? No. Does it carry the torch once held by the AE86 Corolla, 240SX and RX-8? Definitely. Power isn't overwhelming, but it's not bad, either. The engine isn't very zingy, though--very much a Subaru. An S2000-powered FR-S, assuming it fits, could be a neat marriage. It would also be a bit more exciting to drive. I love the styling. Love it. This might be a shape that looks good in any color. I could take or leave the wheels. Realistically, I'd be swapping them anyway. I wish the interior was a bit less Scion. Sorry, guys, but the radio and faux carbon fiber just looked a bit too cheap for me. I'm eager to see how the Subaru version looks and feels. While those two interior bits bugged me, I love the seats, the gauges, the steering wheel and the rest of the interior. Pedal placement is spot-on. Awesome shifter, too. Plus I like shifters that have a lift-up ring for engaging reverse. It gives me something to fidget with. Despite the swoopy looks, the blind spots weren't bad at all. Nissan, take some notes for the Z-car's next redo. Hyundai offers a close competitor, but not Honda, Mazda, Nissan or really anyone else. (The Nissan is close in spirit but not really in price.) Can the FR-S/BRZ reignite this market? Please? Final verdict: I'd totally buy one--and it's on our short list. My biggest gripe is that fact that our local dealer is charging way more than MSRP. I know that we live in a capitalist society but, man, that stings. I only got to drive the Scion FR-S for a few minutes. My initial impression was that finally god, or at least Toyota, had given us our Datsun 240Z back. Yes, we want a moderately priced, decently powered, great looking and great handling sports coupe. 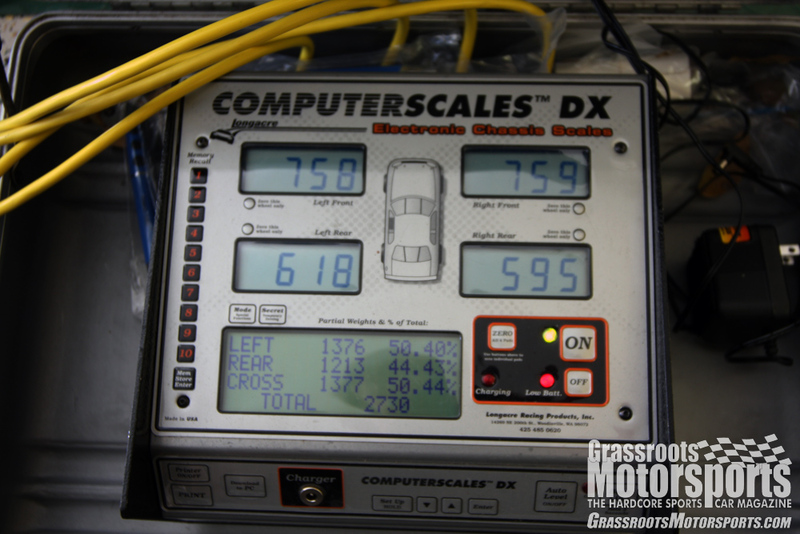 That”s all we ever wanted at Grassroots Motorsports. You could nit pick the ride comfort and smoothness of the engine (this is not a $100,000 Porsche), but damn, this is a great looking, great handling car for nearly econo car money. Oh, it's so underpowered. Driving with that Subie soundtrack, I keep hoping and waiting for that turbo to kick in. Of course, it never does: This is a naturally aspirated boxer. It does drive and handle terrifically. The seats are fantastically supportive, and will serve very well on track days. The gauges are as stylish as they are functional. I wish I liked the car more, but the back seat is useless and the engine just doesn't have that oomph. I already own a Miata; do I need another slow, impractical car? No. I don't. But I'm sure it's the right answer for someone out there, and it's a certainty that there'll be turbo kits falling out of every shop window before long. It's a great car. It's just not a great car for me.